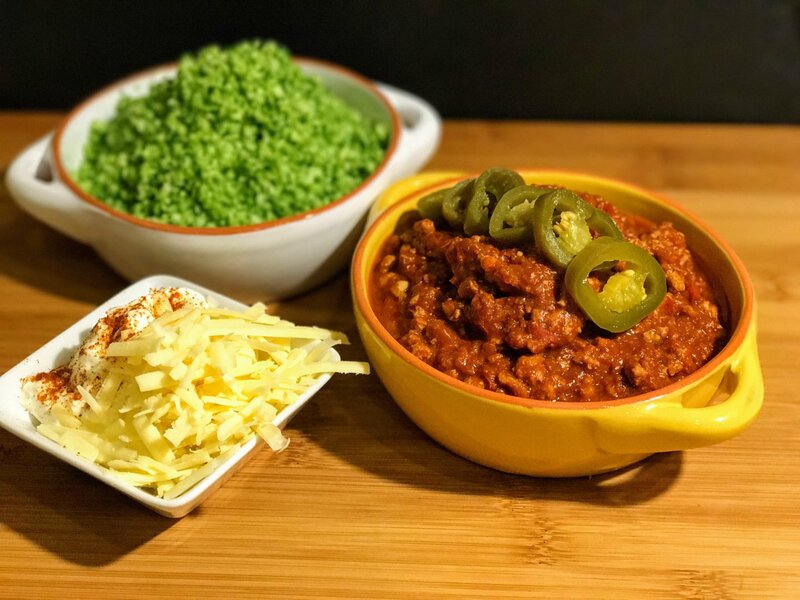 My tasty chilli recipe is ready in minutes. It’s lean, packed full of flavour and it can be as spicy as you want to make it! Serve it with broccoli rice and you’ll see it becoming a reduced carb meal favourite and once you get the hang of making broccoli rice, you won’t buy the ready made version again! If you want to make this in your slow cooker check out the tips in the notes section.